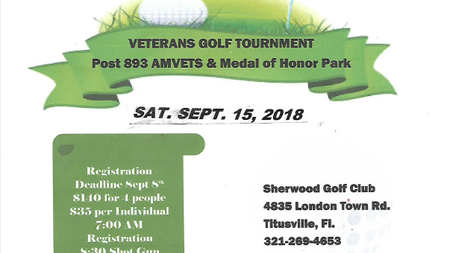 A group of veterans and non-veterans that started this organization in 2005 with the mission to help and support our veterans and active duty personnel as well as to foster community awareness in support of our goals. Currently we have nearly 75 members in our organization. While the majority of our members are military veterans and their spouses, we are proud of the fact that some are members although not veterans and have seen what we do and have become active within our organization. The USA River Rats, Inc. vision is to erect a lasting tribute to the bravest of the brave. The Medal of Honor is the highest military honor that can be bestowed on an individual. We believe that each and every recipient should be forever remembered for their unselfish acts of heroism. Not one recipient ever set out on a quest to receive a Medal of Honor. Their acts of bravery spoke loudly as to each and everyone's character and devotion to duty. In 2014 the County of Brevard acquired approximately 80 acres of land adjacent to the Brevard Veterans Memorial Center, Inc. (operated by the Brevard Veterans Council, Inc.) and designated it as The Brevard Veterans Memorial Park. At this time, Brevard County designated 1.9 acres of the Veterans Memorial Park to The Medal of Honor Park. As members of the Veterans Memorial Center, Inc. whose mission is structured as ours, we are proud to announce that we have partnered with them to complete our project.